Drop by in our art gallery and art library. Admire, rent, or buy stunning and interesting contemporary art and wonderful modern design. Be surprised by contemporary art and design in the art gallery at WTC The Hague. In the WTC The Hague art gallery we present a new exposition every two months, exhibiting work from national and international artists. Admire our carefully selected art works, or purchase an amazing piece. At home or above your desk; the art works we present will be greatly appreciated at any location. You can also choose to rent an art work. 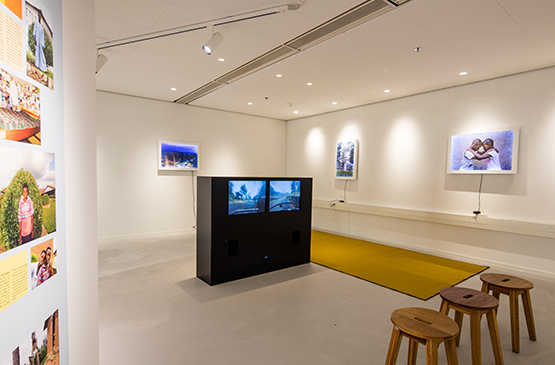 As a business owner or resident at WTC The Hague, you can already rent an artwork from €15 per month from our art library. You will find our Art Gallery at the second floor. WTC The Hague Art Gallery is open every day and access is free. Gallery manager Renée van Nievelt is available on Monday, Tuesday and Thursday from 11 a.m. If you have any questions or you want to know a bit more about an art work or the art library services, please make an appointment.